Nice classic Pinot palate, with savoury and tight tannins at this youthful stage offering a firm direction. Lots of cherry and spice flavours, opening up to reveal a nice juiciness and increasing flavour intensity, but all within a very refined framework. 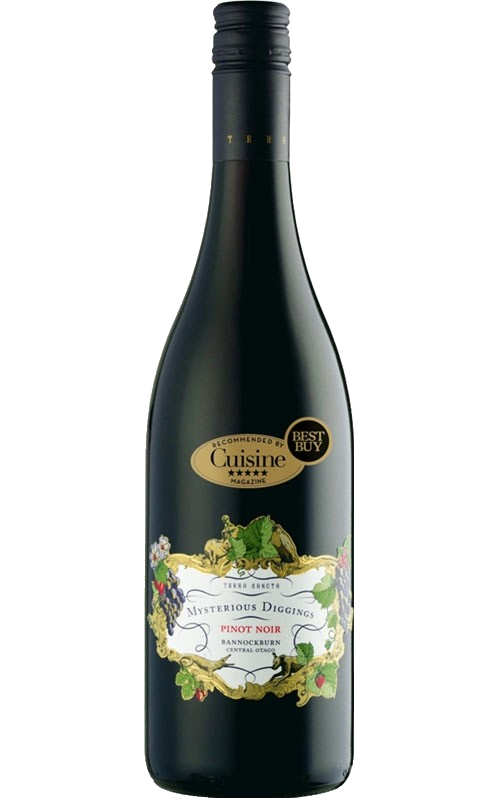 Very fruity, intense and warm with complex notes of ripe red fruit and spice. Good persistence and balanced acidity. Exceptional with red meat, game and aged cheeses. This beautiful blend of 60% Cabernet Sauvignon & 40% Merlot opens to enticing aromas of blackberries, violets, exotic spices and graphite all taking shape elegantly in the glass. Terra Sancta Mysterious Diggings Pinot Noir is amazing value for the quality, particularly for this region of the world. Love French rose from Provence? Then at this price this is a winner!